The Kevin & Brittany Kisner Foundation is a non-profit organization committed to creating a positive environment for children to grow into responsible adults. Charitable Funding is provided for organizations that promote children’s fitness, health, education and opportunities to participate in sports. The Kisner Foundation awarded $10,000 to the NICU's Donor Milk Program at University Hospital. 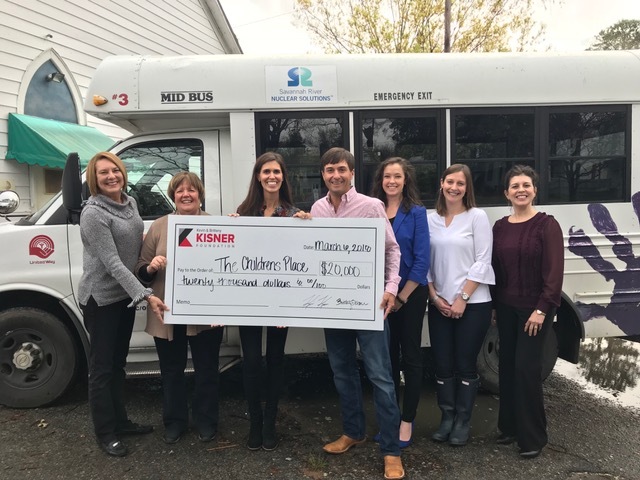 The Kisner Foundation awarded $20,000 for the purchase of a new bus. The Kisner Foundation awarded $15,691 to ACPS for concussion testing on all student athletes! Our yearly fundraiser, Clays, Greens, and Strings, raises thousands of dollars to fund grants throughout the CSRA. Organizations such as Aiken Junior Sports Association, University Hospital, PlaySafe and more! From NICU babies to high school athletes, and "Tee Up to Read" for children under five. Every kid in the CSRA deserves the brightest future possible! Thank you to everyone who has supported the Kisner Foundations yearly event, Clays, Greens and Strings! Stay tuned for the announcement of our grant winners and 2019 event details coming soon.